On Saturday May 19, 1973, the number one song in the U.S. was “You are the Sunshine of My Life” by Stevie Wonder. If you went to the movies you probably saw “Paper Moon” starring Ryan O’Neal. If you were watching television “All in the Family”, “M*A*S*H”, Mary Tyler Moore, Bob Newhart, and “Emergency” were popular on Saturday nights. 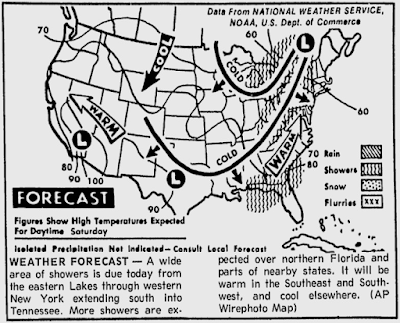 For residents of Fort Payne, Alabama, television was the furthest thing from their minds as they were recovering from an F4 tornado that struck between 6:45 and 7:00 p.m.
May 1973 was an active month for tornadoes in Alabama and the 19th was certainly a red-letter day. 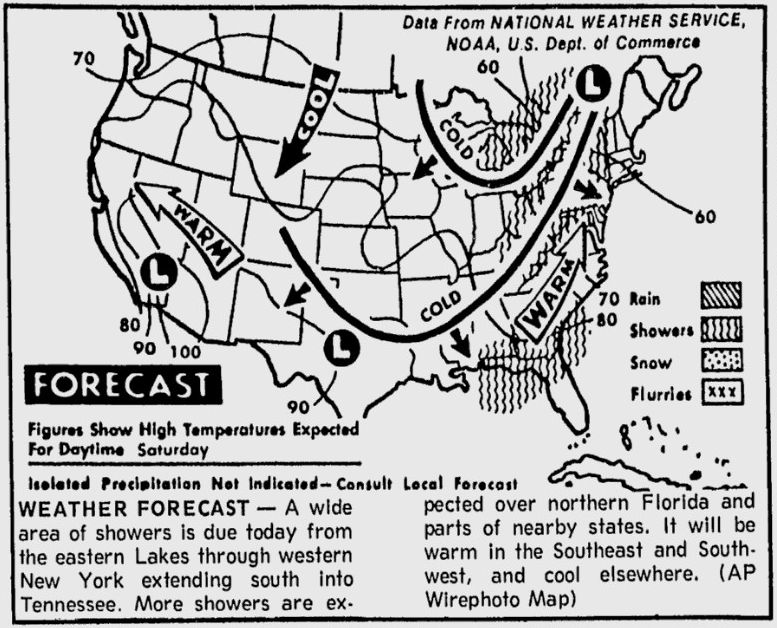 Three tornadoes were confirmed to have occurred during the afternoon and evening hours on May 19, 1973: An F2 in Madison County near Hazel Green, an F2 in Jackson and Dekalb counties which affected South Scottsboro, Section, and Powell, and an F4 which affected Fort Payne and Lookout Mountain in Dekalb County. The Madison County tornado was on the ground for two miles in Hazel Green and it caused 10 injuries, destroyed at least five buildings and damaged 30 others around 2:40 in the afternoon. 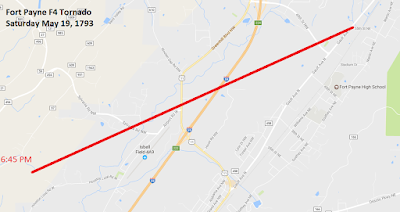 The second tornado, also an F2, touched down at 4:15 p.m. near Scottsboro and Section. This tornado was on the ground 23 ½ miles through Jackson and Dekalb counties. Nine people were injured in this storm. At least 12 trailers and 15 buildings were destroyed. 80 other buildings were damaged. This was the longest track tornado of the day, but not the most intense. 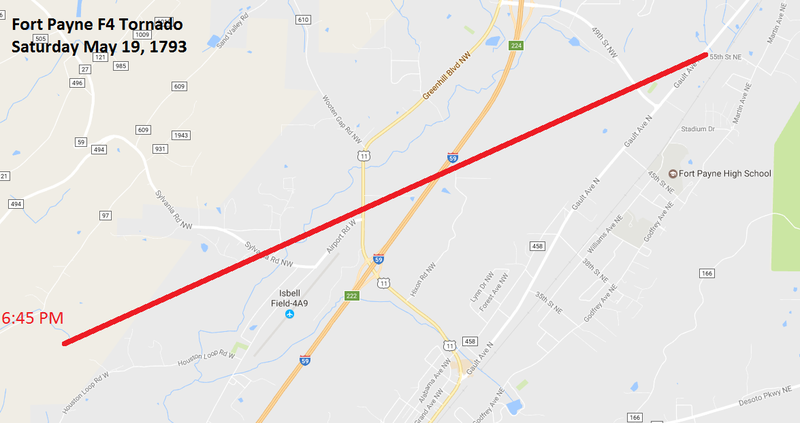 The third and most intense tornado of the day, an F4, touched down at 6:45 p.m. in Fort Payne. On the ground for 5.4 miles, this tornado caused 19 injuries. At least 37 buildings were destroyed just north of downtown Fort Payne and 117 buildings were damaged. 150 people were attending the “Little Miss Maid of Cotton” contest at a school gymnasium. Attendees took cover against the walls of the gym just before the tornado struck. Despite damage to the gymnasium, there were no injuries at the school. Mike Benefield commented in Stormtrack.org that a two-story, 16 unit apartment complex was moved about 150 feet into the middle of Main Street. He also said that debris from Fort Payne businesses was found in Rome, Georgia. The best news of the day was the fact that no one was killed as a result of these tornadoes.